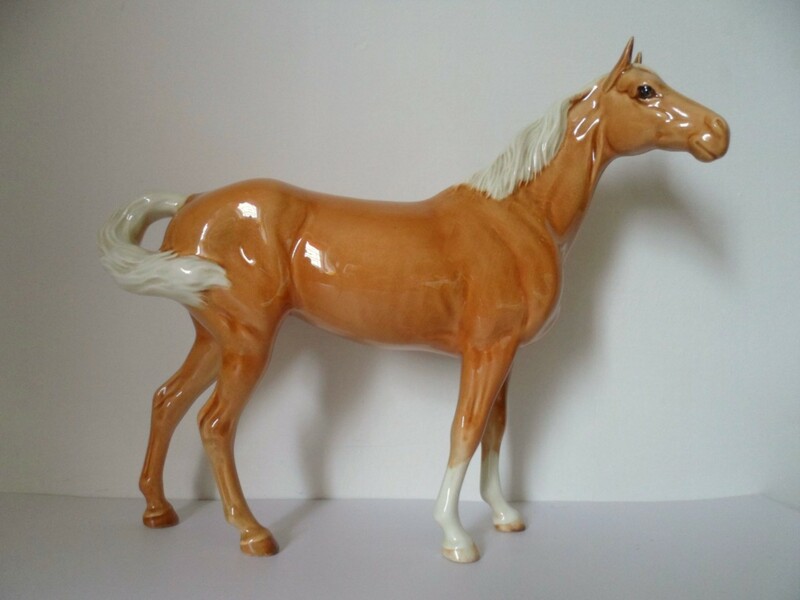 Beswick Swish-tail Palomino Horse in high gloss. Here are photos from eBay of the rare Palomino Horse sculpture. I am lucky enough to own one of these. More pictures are shown below. The Palomino is one version of the Swish-tail Horses. I also have Model number 976, the Bay coloured Mare in gloss, looking left. 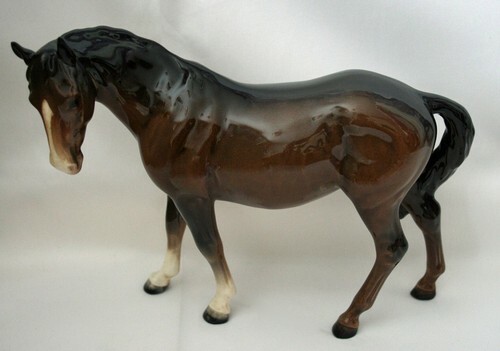 Categories: Animals, Art, Beauty, Figurines & Sculptures | Tags: animals, beswick, figurines, Figurines & Sculptures, horses | Permalink.